Don't miss Philadelphia Center for the Book's most successful annual event! 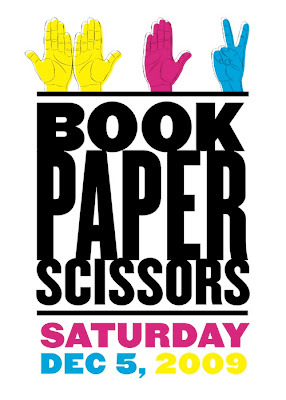 Book Paper Scissors is an artists' book fair, free and open to the public. This festive event features prints, artists' books, handmade paper, zines, origami, blank books, and paper sculpture and jewelry. 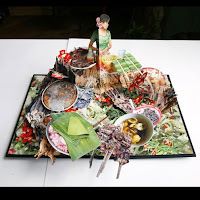 If it's paper-based art, it's here. Book and paper workshops will also be offered at the Library the day of the fair. 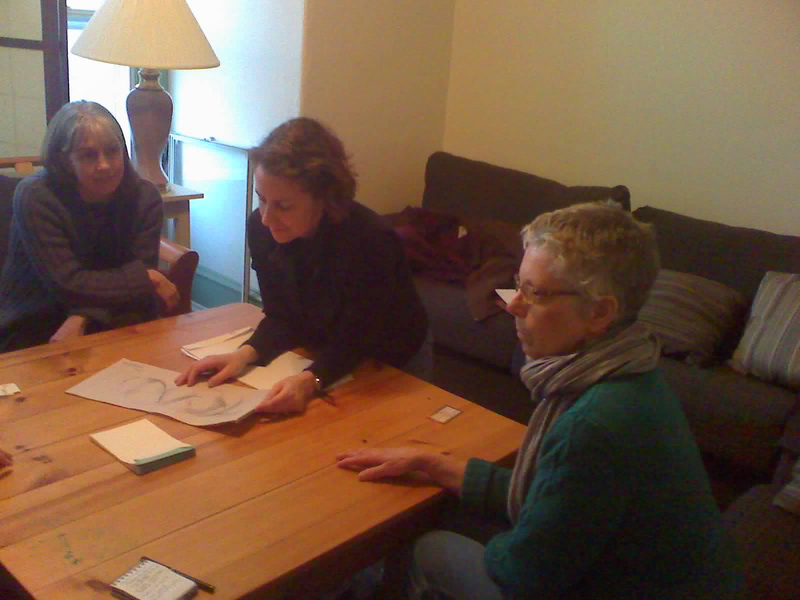 Philadelphia Center for the Book held its first Salon for members on Saturday, November 7th. It was held from 2-4:30 pm in the Community Room of Big Blue Marble Bookstore in West Mt. Airy and was hosted by Donna Globus, Karen Lightner and Susan Viguers. Five members attended. After introductions there was information sharing and conversation, including some about the Mt. Airy Artists’ Cooperative that is starting up in the neighborhood. We looked at books (both completed work and works in progress) that five of us had brought. The conversation was open and supportive and it was a great afternoon of sharing! We’re hoping that other members will sponsor salons in their studios or homes. If you’re interested contact membership@philadelphiacenterforthebook.org. Earlier this week we posted this video over at the PCB facebook page, but we are re-posting it here in case any of you may have missed it over there. After the exhibition, the collection will be donated to Oberlin College's Clarence Ward Art Library (Ruth’s alma mater). The exhibition can be viewed whenever the Free Library is open (9-9 M-Thurs, 9-6 F, 9-5 Sat, and 1-5 Sunday. For more information about the exhibition please call 215-686-5405 (9-5 M-F). A collection of images that literally leap from the page, We Are Tiger Dragon People features pop-up art books and photographs by local artist Colette Fu, providing a glimpse into her ancestry and the cultural richness of the ethnic groups of southwestern China. 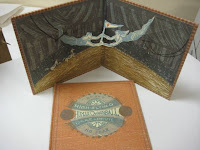 Book Binder from Stephen Keller on Vimeo. If you are a bookbinder, you have a story about how you discovered it. Here is one woman's interesting tale. The Academy of Art University, San Francisco, is looking for part-time temporary instructors in book arts & letterpress. For more information click here. A selection of artists’ books, photographs, and prints acquired by purchase or gift in 2008 and 2009 by the Parkway Central Library. It can be seen any time the library is open (except for the final 2 cases, which are in the Print & Picture Collection and can be seen when the Department is open--9-5, M-F).